LSB Industries Inc, a diversified industrial manufacturer of chemical and HVAC products, has awarded a $5.3 million contract to Rockwell Automation. Rockwell will serve as the main automation contractor for two new plants, providing a $3.5 million PlantPAx process automation system with electrical, controls and instrumentation services, and a $1.8 million Ethernet motor control system. The systems will be installed at both of LSB’s new plants (nitric acid and ammonia) currently being constructed at its El Dorado, Arkansas facility. This was a quote from George Peppard, in the A-Team, in 1983. 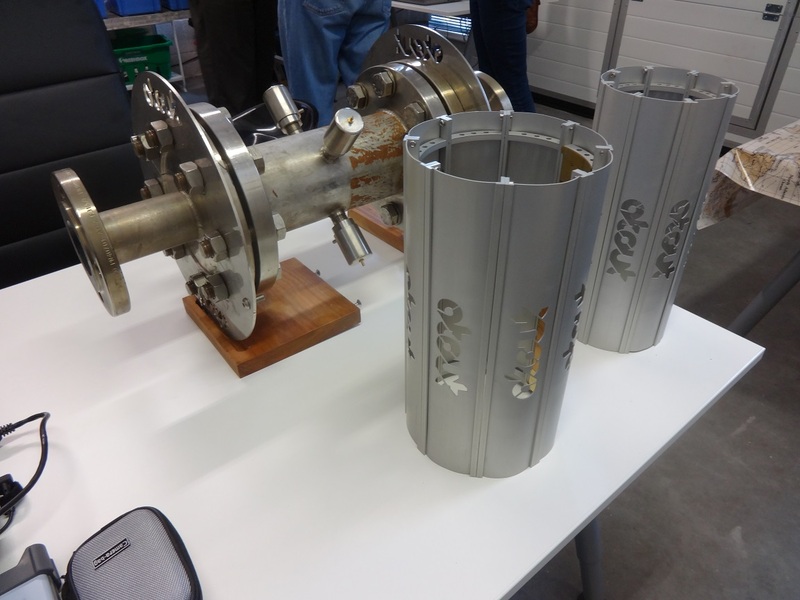 But that was too early for the cross-correlation two phase flowmeter to become a reality, as it was only 7 years after I first saw prototypes with Dr Maurice Beck at Bradford University in 1976. My job then was to investigate University developments, to see what could be developed into a viable commercial product for Bestobell Mobrey. We decided not to take up the project, but Maurice Beck continued with this type of research, subsequently as a Professor at UMIST in Manchester. The cross-correlation function took much more computing power than was easily available at that time, but the concept was attractive, particularly to people dealing with multi-phase oil-well flows, dry product flows and other measurements using non-contact sensors. Later, this included people such as oil and oil service companies, like Schlumberger, and sensors for solids monitoring applications, such as Endress+Hauser. So it was a real pleasure to catch up with what seems to be the culmination of this development process, at the demo facility of Atout Process in Southampton. 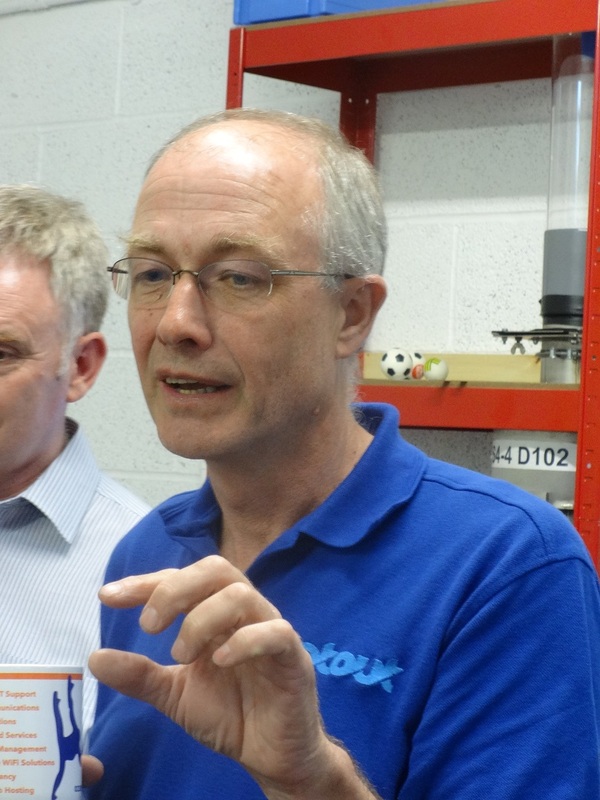 Andy Hunt, md of Atout Process, has worked on the concepts involved with this flowmeter and flow visualization system for over 12 years, with colleagues in Tomoflow technology. Tomoflow developed and patented much of the electronics and software needed: the technique is similar to tomography, but unlike a body scanner, taking 5 -10 minutes for one scan, it completes a scan across a pipe around 600 times each second – or even faster in some solids applications. Dr Hunt has an oil industry background, and at one time worked for Schlumberger on these techniques, with Prof Beck and his colleagues. So around 5 years ago he set up Atout and licensed the Tomoflow technology for commercial applications development in relation to process applications. Over the last 5 years Atout has developed sensors and application expertise for visualizing and computing the density profile of flowing materials, across the pipe section, using non-contact, non-penetration capacitance measurements, normally working through a plastic or similar pipe wall material. Typically using two sets of 8-electrode arrays, spaced along the pipe, and computing all the inter-electrode capacitances, these can provide a picture of the material density within the pipe. Cross-correlation functions, now reduced to a minor part of the major computing power applied, calculate the transfer speed of the mass pattern between the two arrays. The results were impressive. Placing a dielectric rod (of diameter <20% of the sensor) within the sensor, the screen visual representation clearly shows the rod position, movement and size, within the blue on the photograph that represents a clear pipe. 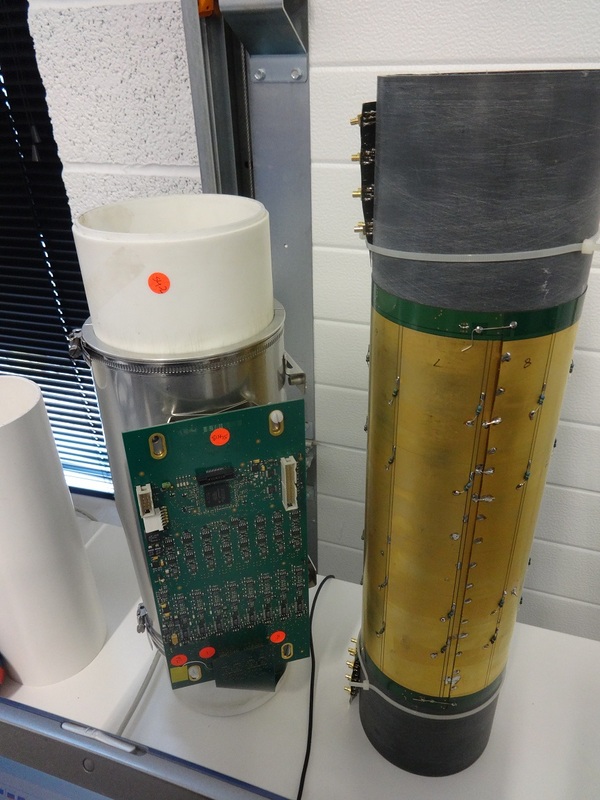 In the picture on the left, the electronics unit behind the sensor is a desktop research unit: the second picture on the right shows a sensor with the electronics packaged around a food grade plastic pipe sensor, which would then be sleeved. Dropping 6Kg of wheat from a hopper through such a sensor showed the clouds of wheat on the PC screen, as the areas of higher mass density. Flowing at 2m/sec on average for around 15 seconds the mass total was computed second by second, and the total mass flow displayed within 1%, on each of several runs. Providing such mass flow data to wheat processing/milling systems is one of the first applications likely, and other applications on biofuels, plastic pellets, minerals and cement are possible. For the technophiles, the capacitance changes being monitored are as small as a few tenths of a femtofarad for the widely separated sensor plates: a femtofarad (fF) is one thousandth of a picofarad, and the sensor cables themselves have a standing capacitance of around 2pF. The wheat flow test rig is shown on the right, the bucket collecting the wheat was on the floor! Water droplets carried in steam flows can have a devastating effect on turbine blades and similar high speed equipment. Detecting the presence of wetness, or water mists, in steam flows, is a major safety requirement for power generation systems. 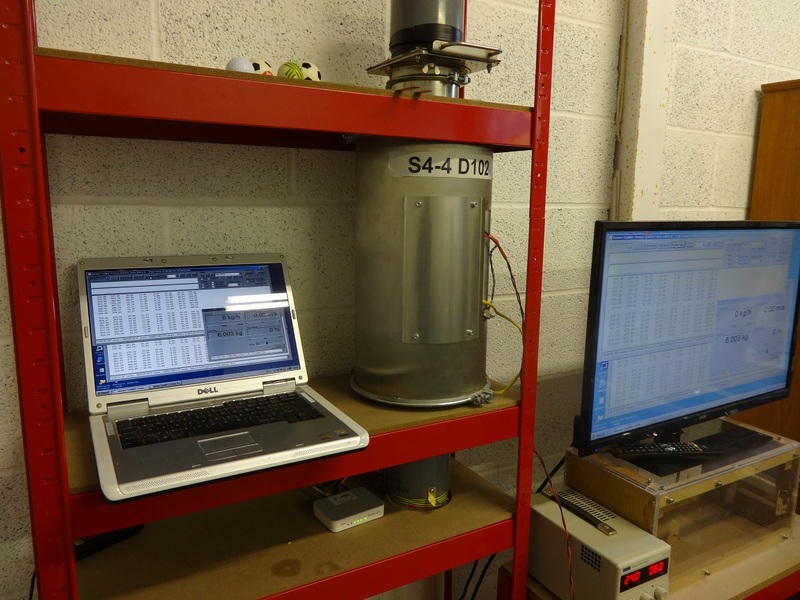 One of the Atout sensor systems, packaged inside a stainless steel flanged pipe section, has been tested on a live ‘dry’ steam line, at 190⁰C and around 25 bar, and successfully monitored the wetness levels: as far as anyone could estimate! Free air tests show the system is well able to detect the passage of a single small drop of water falling through the sensor. The ultimate flowmeter application is to monitor two and three phase flows in the oil industry, for wells and allocation metering. The Atout flowmetering software goes a long way to achieving this, and certainly allows the visualization of the flow profiles and mass density within a pipe flow. Some videos of this visualization are shown on their website. Undoubtedly this is why the UK Technology Strategy Board has given Atout Process a grant to demonstrate their technology, and why there are regular visitors to discuss such potential applications. 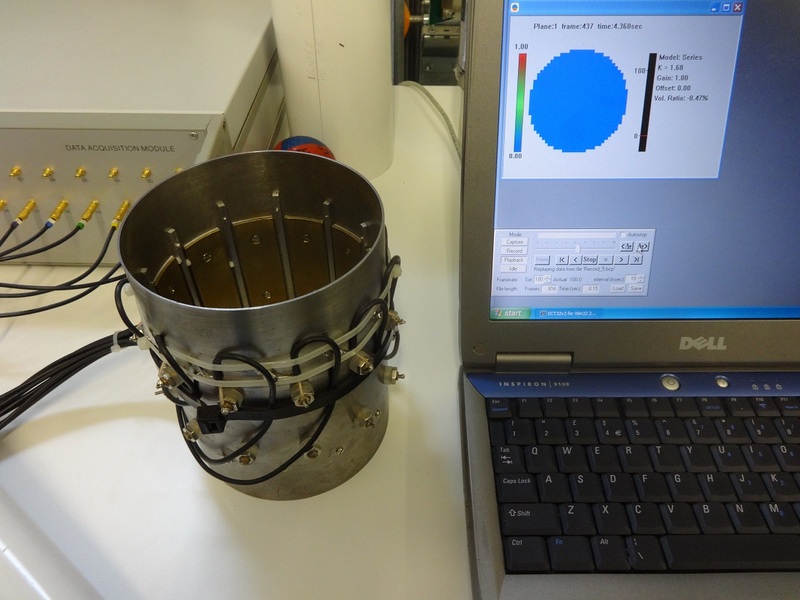 A major achievement has been that Atout Process is a participant in one of the latest European projects run by NEL in East Kilbride, which aims to establish a reference measurement network and standards aimed at improving the accuracy of subsea multiphase flow measurement for the oil and gas industry. Atout Process will work alongside National Measurement Institutes with industrial and academic partners from the UK, Czech Republic, Germany, the Netherlands and France. Andy Hunt commented “This is a fantastic opportunity for Atout to show what we can do with our advanced flow imaging technologies. We believe that flow imaging systems will become a fundamental part of new multiphase flow measurement standards”. Atout has built the sensor packaging needed to fit their capacitance imaging device and flowmeter onto the NEL test lines, as seen in the picture. As Hunt also commented, if the Atout meter is what is used to establish the industry measurement standard, then this will bode well for future applications. Indeed, there is very little else that the researchers can use to get any picture of what is happening in the pipe, to define the flow structure. Atout forecast that one of their prototype multi-phase flowmeters will be installed offshore inside two years. People often have a bias against a technology, and both correlation and capacitance have their detractors: we all know the history. But what Atout have done is taken the cross correlation technique and used processing power to go deeper into the flows within the pipe, into each little box, splitting out different ‘clouds’ and identifying their mass, and their velocity. This avoids making some of the base assumptions previously used in cross-correlation, which were not really valid. The processing technique can work in other formats too, for example the same flow visualization tools could be used on a multi-electrode electromagnetic flowmeter, or even a part filled magflo meter: such products have also been considered for multi-phase flow. This article was first published in the May 2014 issue of the Industrial Automation INSIDER, which is a subscription newsletter. See http://www.iainsider.co.uk.